My motherÂ and father-in-law look like new people. In the past three months they’ve both lost considerable weight. This isn’t the first time they’ve slimmed down; it always seems as though they’re trying one diet or another, only to slip after a month or so. But this time they’re not doing South Beach or any other fad diet. No, they’re using the diet app My Fitness Pal on their iPads. That isn’t the only nutrition tracking app available for mobile devices. 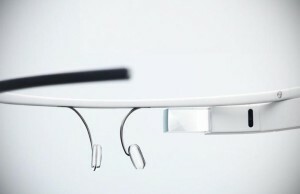 In fact, the number of health and fitness apps is increasing at a rapid pace. Plenty of apps do the exact same thing as My Fitness Pal, so the focus isn’t on them. It’s instead of the whole swath of apps that are available, most of them free, to iPhone, BlackBerry, and Android users. While there is plenty of merit to these apps — my in-laws’ success certainly demonstrates how powerful they can be — they don’t come without downsides. The upsides might outweigh them, but before anyone uses a health and fitness app, she should be aware of the flaws and limitations inherent in them all. Apps like My Fitness Pal work by calculating your daily caloric intake and measuring it against activity. Drawing from a database containing what they say is over a million foods, users can quickly add products, meals, or ingredients with ease. 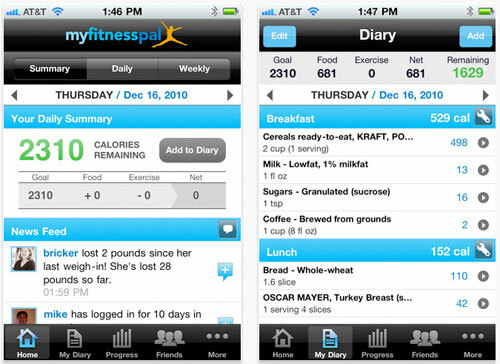 The app then tabulates all of the nutritional information and adds it to your daily ledger. 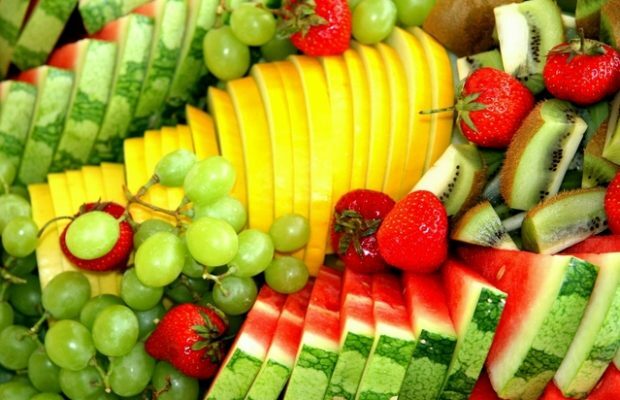 At the end of the day you can see how many calories you consumed. The problem, of course, is that calorie information isn’t always reliable. For instance, if you buy a pack of chicken breasts from the market you’ll find it difficult to measure precise caloric properties. While My Fitness Pal has an entry for boneless skinless chicken breasts, your specific cut might vary from that norm. Add into that the uncertainty of serving portion and you have the potential for inaccurate caloric information. The key is to use these apps as a guide. They are not the definitive measure of your caloric intake. They can give you an idea, sure, but they’re not to be taken verbatim. In my opinion the biggest flaw in these apps is that they feed into the myth of calorie in/calorie out. That is, they treat every calorie consumed and burned as equal. It doesn’t take into effect the specific properties of these calories and how they interact with the other foods you eat. That chemistry is an important consideration when determining metabolic rate. Again, calorie in/calorie out can act as a guide. If you count the calories you take in and then figure the ones you burn through exercise, you’ll have an idea of your daily caloric overage or deficit. But there are diets that produce better metabolic results than others, and there are diets that are far more beneficial in the long-term. Take, for instance, the man who ate a junk food diet and lost 27 pounds. Sure, he used a calorie in/calorie out method to lose those 27 pounds. But with only 11 percent of his calories coming from protein, chances are some of that weight loss came from muscle. Since muscle works to burn calories, he’s less capable of burning calories in the future. Calorie tracking apps are great for simple meals. If you have two eggs and some veggies for breakfast, a salad for lunch, and a meat paired with veggies for dinner, your task will be simple enough. As long as you can reasonably measure the portions you consume, you’ll be able to input the information into the app with ease. It’s when you cook and bake that the formula gets fuzzy. Yes, many of these apps make room for you to create recipes. You input the ingredients, and the app calculates the caloric value of the meal. But are you sure that you used those precise measurements? Are you sure that you’re consuming exactly one serving of the whole dish? Further: did any of those nutrients get cooked out? That’s a general question, of course, but even more applicable when talking about a complex meal. As a tech enthusiast, this is my biggest complaint. Yes, it’s nice that you can input data into apps like My Fitness Pal and have access to it on your tablet, smart phone, and desktop computer. That’s because all of your information is stored on servers in datacenters owned or rented by MFP, or whatever app you’re using. There’s plenty that can go wrong in that storage and retrieval process. The first risk is that the servers are unavailable and you can’t retrieve your data when you need it. With that also comes the risk that your data is lost. This isn’t a common occurrence, but it does happen. There are also hacks, as we’ve seen in the past few months with, most notably, LinkedIn. The privacy of your data is also a concern. Let me ask you: do you read the privacy policies of services you use? They might take more liberties than you think. By no means do I recommend against using diet tracking and calorie counting apps. As I saw with my own in-laws, there is the potential for great success. But there are also drawbacks, and those aren’t readily apparent at first glance. 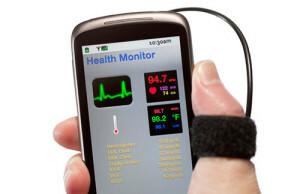 Before you start to use one of these apps to monitor your health, know the full story going in. You’ll get the most out of it that way. Can You Replace Your Personal Trainer with These Affordable iPhone Fitness Apps? Joe Pawlikowski writes and edits several blogs across the web, including his personal blog, A New Level.